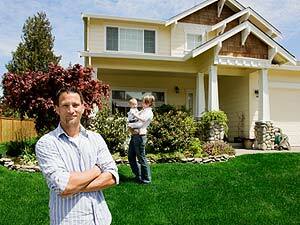 You are here: Home > Blog > Curb Appeal > 9 Tips to Help You Achieve Curb Appeal This Summer! The exterior of your home is the first thing all potential Buyers look at. The old saying “You can never make another first impression” is of utmost importance when selling your home. Many Buyers will drive by a property before they decide to even call their REALTOR®. If your exterior looks like it hasn’t been maintained, they may lose interest. Here are some tips to help you make the best first impression possible. Clean the exterior of your home. Use a power washer or strong “jet” setting on a hose and wash down all the cobwebs, dirt and grime. All homes collect these things over the seasons. Power washing an older deck also goes along way. Clear the property. Relocate excess vehicles, trailers, boats, motorhomes or recreational vehicles that are distracting Buyer focus from your home. You don’t want your property or driveway to look like storage lot. This turns Buyers off. Look at your driveway. If there are oil stains on your asphalt - clean it up and repaint the asphalt. If your driveway is gravel, use harrows to pull up weeds and make the gravel look pristine. Bring flowerbeds to life! Pull out all the weeds and put in annuals to make your gardens look maintained and pretty. Add potted plants to your porch or deck if it complements your property. Make your entry inviting. Add a nice welcome mat, make sure the front door is wiped down, all glass windows are clean and that the area is swept. Replace old porch lights and make sure all exterior lighting is working and consistent in appearance (warm or cool lighting). Your front door tells a story. Make sure the door is clean. Replace or clean older hardware such as handles, deadbolts, knockers and kick plates. If your front door is old and dented, replace it with something new. If you have sidelights around your front door, ensure they are working, free of cobwebs and remove any curtains that may stop the light from entering your foyer. Make sure your doorbell works and all the hinges of your door work seamlessly without any sticking or squeaks. Mow the lawn. Keep the lawn well maintained at all times. Whipper snip around hard to reach areas for a clean cut. Prune the trees and shrubs. If you home is well presented on the outside, Buyers will be optimistic and keen to see what the interior has to offer. Fix any damage. If you have some areas that require maintenance don’t ignore it. Damaged siding, fix it. Paint peeling? Fix it. Chimney needs re-pointing? Fix it. Shingle damage? You get the idea. Show your pride of ownership. You want Buyers to picture themselves living in your home. If they don’t feel welcomed by the exterior, they will have lost some interest before entering the property. You only have one chance to make a good first impression!